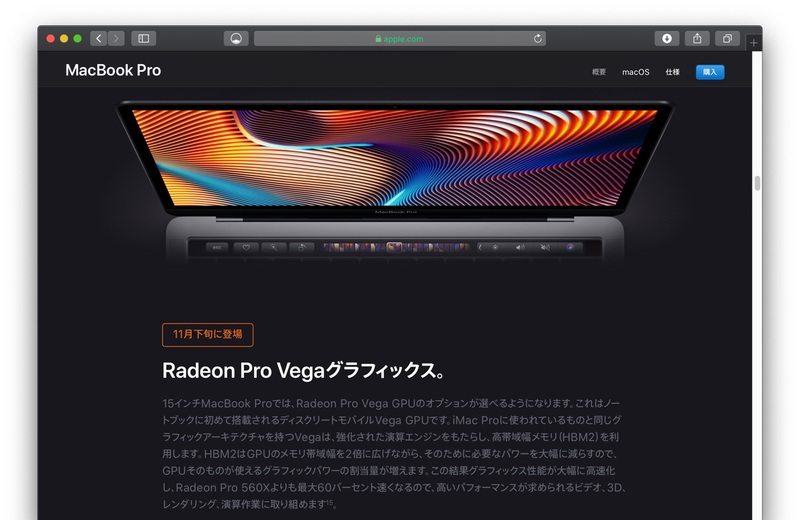 Apple、MacBook Pro (15インチ, 2018)のdGPUオプションにVegaアーキテクチャの「Radeon Pro Vega 16/20」を追加。 | AAPL Ch. 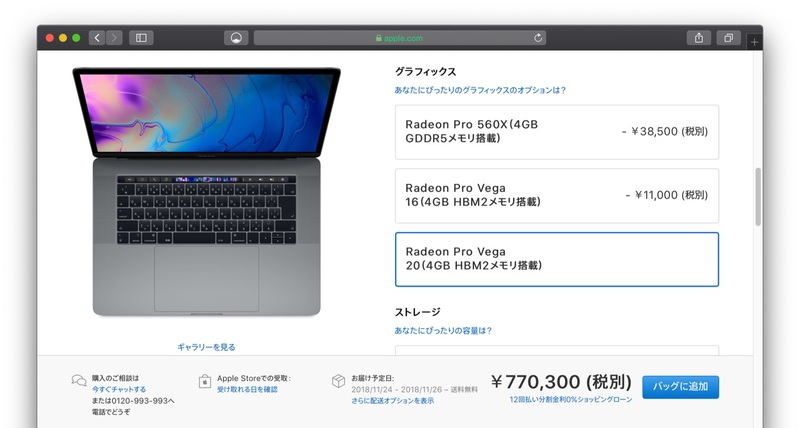 For even better performance, upgrade to Radeon Pro Vega 16 or Radeon Pro Vega 20 with 4GB of HBM2 memory. 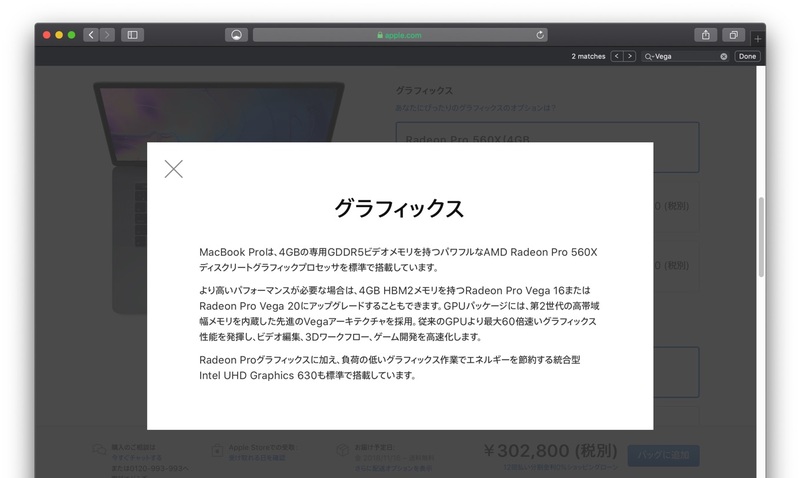 Featuring advanced Vega architecture with second-generation High Bandwidth Memory integrated on the GPU package, these GPUs deliver graphics performance that is up to 60 percent faster — accelerating video editing, 3D workflows, and game development.